For small medium capacity crushing plant user, SAMYOUNG prepare for 100T/H Stone Crushing Plant, consists of Jaw crusher, Cone crusher, Vibrating Screen, Hopper, Vibrating Feeder and belt conveyors mainly but Horizontal Impact crusher can be replaced or added by Cone crusher according to customer’s requirement. The 100ton/hr crushing plant has two types, Stationary crushing plant and Portable crushing plant (semi – mobile crushing plant) with wheels. 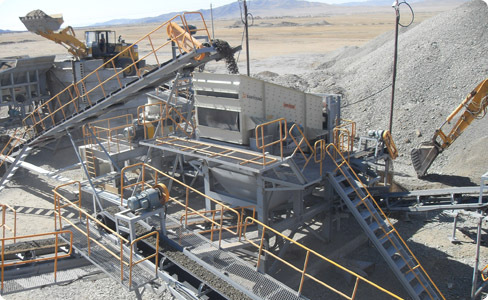 Usually the crushing plant use for crushing limestone, granite, basalt to product small amount of aggregates. 100 ton/hr sand plant is also available.